Head into the gym with your Reebok pride on full display. 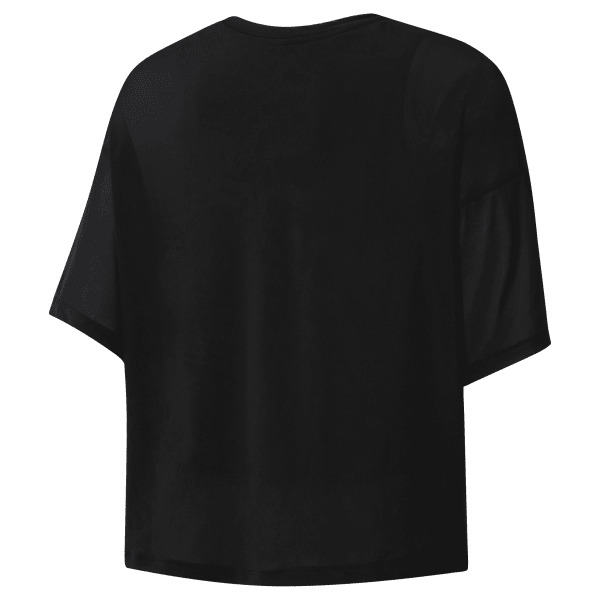 This women's t-shirt works overtime with a tight inner crop top that peeks through the oversize mesh outer layer. The tee is finished with a monochrome Reebok graphic across the chest.